The deteriorating political situation in Ethiopia today: EPRDF split between OPDO/ANDM (Oromo/Amhara) vs. TPLF/SEPDM (Tigray/Southern ethnic groups). There is no question whatsoever the TPLF will fall and fall hard. That time is at hand. 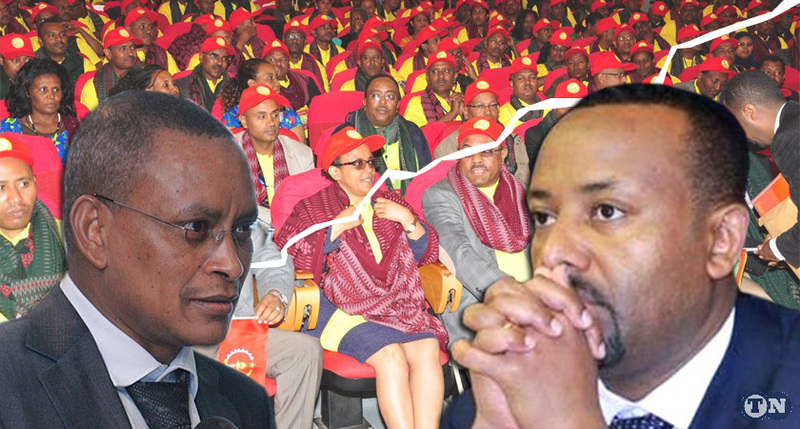 Cracks have emerged in the ruling coalition, the Ethiopian People Revolutionary Front (EPRDF), over last week’s decision to make peace with Eritrea and open up the economy to private investors. A member party, the Tigray People Liberation Front (TPLF), has openly opposed the acceptance of the Algiers Agreement and the privatization of state enterprises. TPLF has termed the last week’s resolutions as flawed and a contradiction of the ruling coalition’s guiding principles. It is, however, noteworthy that senior TPLF officials were party to the EPRDF decisions and never raised any objections then. The EPRDF executive committee announced its unconditional acceptance of the Algiers Agreement, signed in 2000 with Eritrea. Based on the agreement, Ethiopia was expected to withdraw its troops from the disputed border town of Badme. TPLF was also unhappy with the decision to partially privatize state enterprises, including the Ethiopian Airlines. The disenchanted party, in a statement issued late Wednesday, also expressed its disapproval of the appointments done by Minister Abiy Ahmed. The party accused Mr. Abiy of marginalizing the ethnic Tigrians. Mr. Abiy last week removed long-serving Army chief Gen Samora Yenus and head of the Intelligence service Getachew Assefa, both Tigrians. He appointed Gen Seare Mekonen, also a Tigrian, the new Army chief. The Tigrians fought against former Ethiopian military regime from the early 1970s to 1991 and played a key role in the formation of EPRDF, a coalition of four parties in 1991. The Tigrians only constitute 6 percent of the estimated 100 million Ethiopian population but have dominated the nation’s military, security, and economy in the past three decades. Following the EPRDF decision to implement the Algiers agreement, local Badme and Irob residents [most of them resettled illegally after the end of the war] held a demonstration against the move, which they called a betrayal. The Tigray region borders Eritrea. The last three years’ massive and violent anti-government protests in Oromia and Amhara regions, plus the armed insurgency in northern Ethiopia, forced the ruling coalition to change its course and elect a new chairman, Mr. Abiy. Since he took office, Mr. Abiy has embarked on a reform and reconciliation agenda, including working with the exiled opposition figures. His popularity was on the rise across the country and in the diaspora.